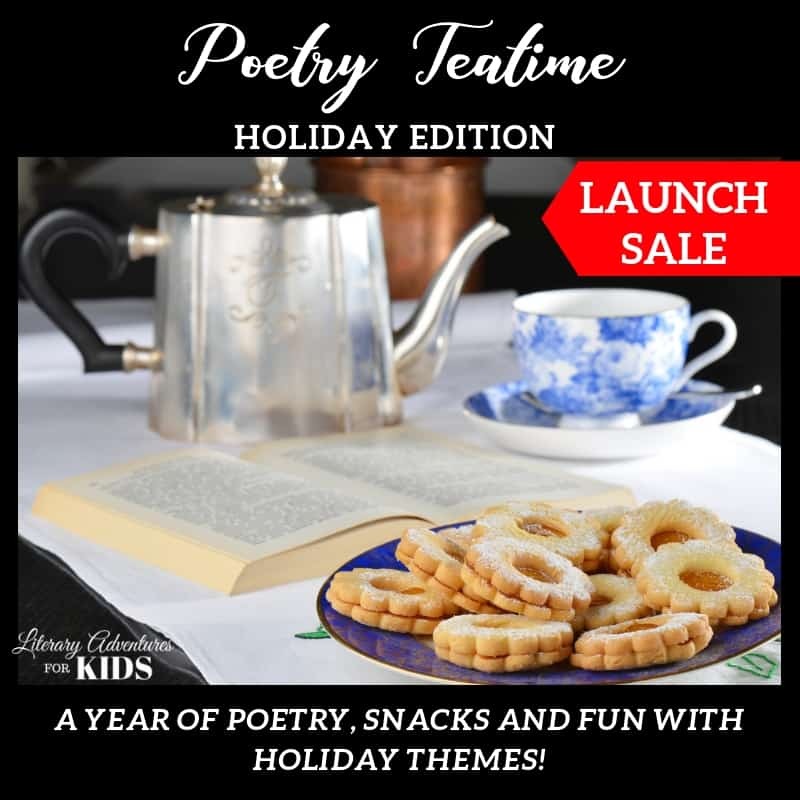 Homeschooling can be HARD and homeschooling while dealing with crisis, illness, diagnosis, pregnancy, and marital issues can be even more difficult. It’s at times like these that many homeschool parents will give up on homeschooling. They feel discouraged and incapable of managing everything life is throwing at them. 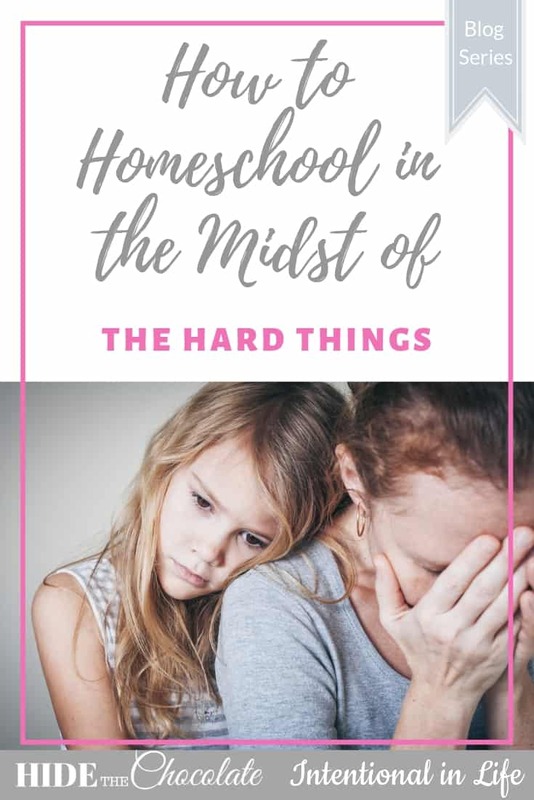 This is why we felt there was a need for a series about Homeschooling in the Midst of the Hard Things - to encourage these homeschoolers who are on the verge of giving up. One day while talking to my friend Jessica from Intentional in Life, I made a startling realization. We were both in different seasons of life. Jessica is a mom of young boys; the oldest is the age of my youngest. And, I am trying desperately to parent two teens (one an adult) and a tween. We were both struggling. Illnesses, hospital stays, deaths, family emergencies, and personal trauma had affected us during the year. And, even though our circumstances were different and our families were not experiencing the same hard things, we were both struggling with feelings of self-doubt, depression, exhaustion, and grief. I knew as I listened to her tell me about what she was going through that I had felt the same way, but for different reasons. We both needed encouragement. We both needed to see that this was but a moment in time and we wouldn't always feel so impotent to handle our lives and teach our children. We both were going through different hard things, and we needed the support of someone else who had gone through hard things and made it out the other side. It doesn't matter if your hard thing is as gut-wrenching as the death of a loved one or as energy-consuming as chasing a toddler. Hard Things are just that -- hard. They make us believe that we can't move on; that we are worthless; that we will never be capable of being a good mom. In these moments of discouragement, we need someone to say, "Hey, I've been there. It's tough. It brought me to my knees, but I was able to get back up and keep going, and my life is better for it. Here are some things that really helped me." Don't we all just need a little encouragement sometimes? Don't we all just need to know that we are not alone? Wouldn't it be nice if there was someone out there who has gone through what you are going through and had some helpful advice? Well, that is exactly what we wanted to create with this series of articles. We wanted to give you some encouragement, provide you with some practical advice, and let you know you are not alone. And, for a little fun, we decided to throw in some free stuff!! Beginning March 1st, Jessica and I will be hosting a blog series on our two websites. Each weekday in March, we will post an article written by a veteran homeschooler. They will share how they coped through the hard things and encourage you with practical advice and tips. We will also have daily giveaways available from our generous sponsors. So, make sure to check in each day for your daily dose of encouragement. 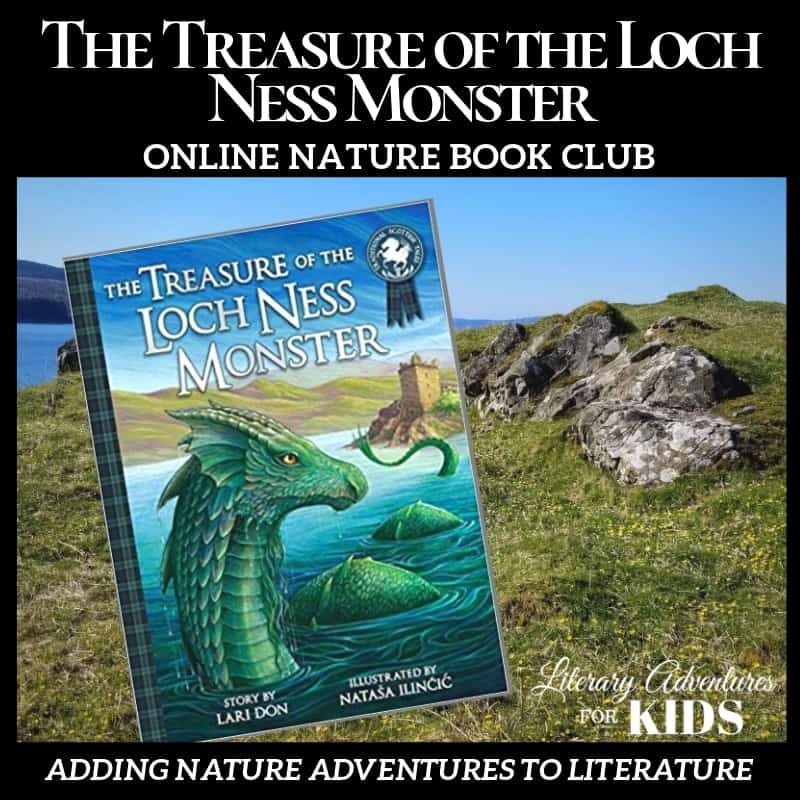 When we decided to write this series, Jessica and I immediately thought of some of our favorite bloggers, writers, and motivational speakers. We asked them if they would share their stories and this is how they wanted to help and encourage you. ME!! sharing How to Homeschool in the Midst of Teenage Hormones. 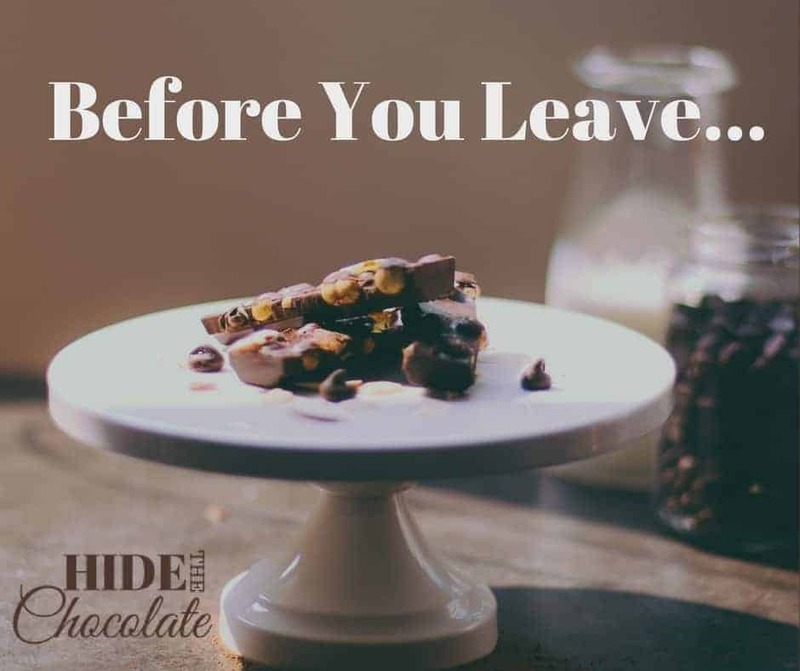 Jessica Anderson at Intentional in Life shares How to Homeschool in the Midst of the Death of a Loved One. Jen Mackinnon at Practical, By Default shares How to Homeschool in the Midst of Hospital Visits and Family Illnesses. Penney Douglas of Penney Douglass shares How to Homeschool in the Midst of Uncertainty. 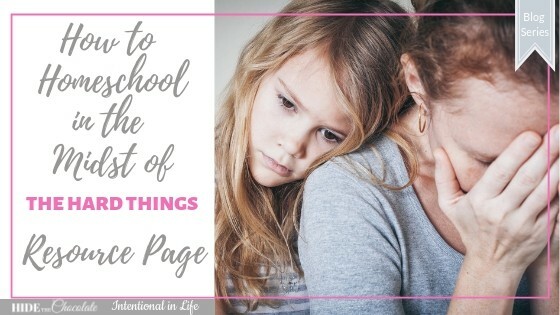 Shawna Wingert at Not The Former Things shares How to Homeschool in the Midst of Receiving Your Child's Diagnosis. Interview with Homeschool Moms who share How To Homeschool in the Midst of Personal Illness. Wendy Gunn at Your Home for God shares How To Homeschool in the Midst of Cancer. Rachael Carman at Rachael Carman.com shares How to Homeschool in the Midst of Having "That Child". Misty Bailey at Finding Joy in the Journey shares How to Homeschool in the Midst of the 3 D’s ~ Dyslexia, Dysgraphia and Dyspraxia. Tauna Meyer at Proverbial Homemaker shares How to Homeschool in the Midst of Feelings of Overwhelmed and Doubts. 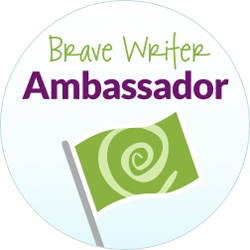 Julie Bogart at Brave Writer shares an excerpt from her new book, The Brave Learner, on How to Homeschool in the Midst of Family Hurt. Tatiana Adurias at The Musings of Mum shares How to Homeschool in the Midst of an Interruption. Leah Courtney at As We Walk Along the Road shares How to Homeschool in the Midst of Having a New Baby. Amber Lia at Mother of Knights shares How to Homeschool in the Midst of Feeling Triggered Towards Anger. Katie Moore at The Iron Heart Mama shares How to Homeschool in the Midst of Financial Difficulties. Lee Felix at Like Minded Musing shares How to Homeschool in the Midst of Mental Illness. Interview with a Homeschool Mom who shares How to Homeschool in the Midst of Divorce. Sara Jordan Panning at Heart and Soul Homeschooling shares How to Homeschool in the Midst of Chronic Illness. Interview with Homeschool Moms who share How to Homeschool in the Midst of the Death of Family. We have some fabulous sponsors who supported our series with giveaways and freebies. We are so grateful for their generosity in wanting to help encourage other homeschoolers not to give up. 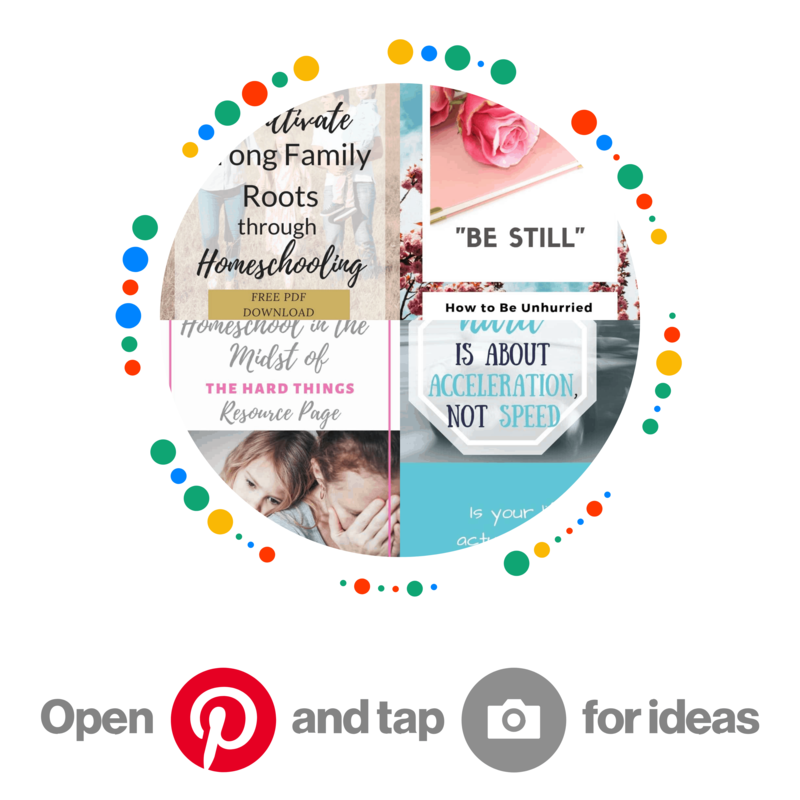 For more encouraging articles join our Pinterest board, Homeschooling in Hard Times.